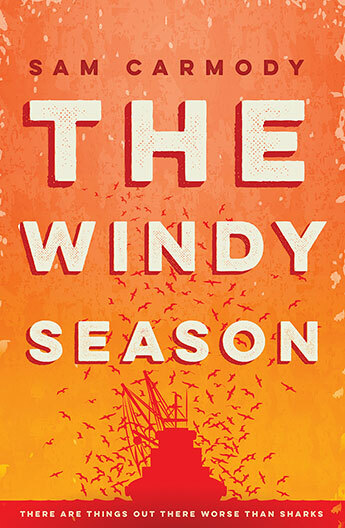 More than any debut I’ve read this year, Sam Carmody’s The Windy Season feels like the arrival of a powerful, new Australian voice. When Paul’s older brother Elliott goes missing, Paul wonders if he’s the only one who’s really worried. He sets off from his home in Perth and heads to Stark, the isolated west coast fishing town where Elliott was last seen, working on a cray boat. Paul is young and way out of his depth, but he knows he has to try. He goes to work on his scary cousin Jake’s fishing boat, alongside German backpacker Michael, and slowly finds his feet. Stark is a place for people who want to get away from everything, but it’s also a place with an explosive, violent streak. Paul learns that his big brother might have got involved in drugs, and stepped on the wrong side of some seriously frightening men. When a body is found, Paul’s family fears the worst. This started out reading like a crime novel, but it ended up being much more – a bruising coming-of-age story, about love and courage and finding out what you stand for. The brooding sense of menace just kept building. The manuscript was shortlisted for the 2014 Australian/Vogel literary award. This book was published in August 2016. My review first appeared in the Herald Sun’s Weekend magazine.